Here is this week’s meme from Strawberry Singh. I like to read her meme articles but actually taking part is a new thing for me. I did it once before on one of my other blogs because it fit the moment. It appeared on my virtual issues–virtual living blog, Journey To The Center Of The Metaverse. A couple weeks later I was putting together another post for that blog and it hit me that it would be a good meme so I asked other bloggers to try it. I haven’t heard yet from anyone who did so maybe I’d better leave the meme creation to Strawberry and just answer hers when inspiration hits me. As it did today. 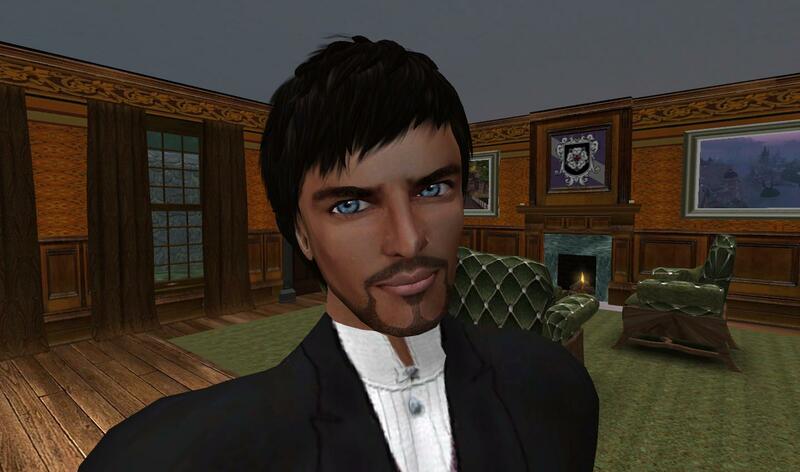 Who did you speak to last inworld today? I’m answering these questions first thing in the morning so I have to apply this one to yesterday as I haven’t logged in yet – and I honestly can’t remember! Who has taught you most about SL? The question, as asked, was very difficult to answer. I could name a few but could not pick just one from that group. But as soon as I changed it from SL to VW, I knew the answer – Dot Macchi. We met in Winterfell in SL in 2010 and she introduced me to RP writing. Later, I wanted to visit the sims Dot was developing on OSgrid and that is when I began visiting other worlds. At the end of last year I had heard about Kitely from another friend and then found out Dot had been moving her project* there. And so I went to Kitely to get involved in that project and then my explorations of other grids began in earnest. * Dot’s project is The Devokan Trust and its Myst/Uru-inspired sims. Go to Kitely and check them out! It depends on the issue, of course. I would go to a friend with expertise on whatever the matter was. But in general, if it is an SL issue that I have never encountered before, I ask Serra Anansi, Lady Twilight, head of the Winterfell estate. And if it is a question about something OpenSim, I ask Dot Macchi. Who is the most entertaining person on your friend list? Addison Greymyst. Hands down. I have known Addison in SL for about three years. We talk in IM every week or two and he never fails to make me laugh. Do you speak to your SL friends outside of SL? I talk to a few friends I know from inworld via email but. very few. Then there are the VW friends I know from social media but whom I’ve never met inworld! Just recently I met a few of them “in person” for the first time at the WB party for Metropolis grid. It was really fun! Are you part of a community or family inworld? I live in Winterfell and serve as Ambassador. I am also an active participant in the Victorian Steampunk subculture in SL. In a broader sense, I am a part of the community of people who like to visit multiple grids. I realize this is not what the questioner had in mind but this is very much a “community.” We help each other with info and advice. Though this is mostly through social media, it directly impacts our inworld lives. Are you usually around a lot of people or do you spend most of your time alone inworld? My main inworld activities are writing and exploring. (Yes, I sit in my little cabin in Winterfell and put on some music and write.) Both are things I do alone. But I do socialize as well, whether it’s attending an event or meeting a friend at a pub to chat. Thanks for another great meme, Strawberry. They really do get one thinking.